Leveraging on the support of adept team members, we are actively engaged in manufacturing a broad assortment of Brass HRC Fuse parts. Each part that we offer is engineered as per the international industry norms and guidelines, suiting specific needs of the patrons. Furthermore, our range is precisely checked on set quality grounds so as to ensure their complete flawlessness. 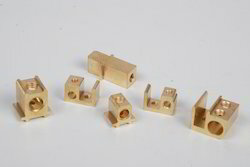 wide array of Brass Fuse Parts is offered by us to our valuable patrons. The parts we deal in are manufactured using high quality brass material and latest technology. Available in number of specifications, shapes, sizes and colors, these products get in-tune with the specific demands of the clients. Clients use these products for protecting equipment any kind of short circuit or damage, which occurs due to device failure or power overload. Lengths and sizes of these parts are custom designed as per the specific needs of the customers. Complete Range of Brass Fuse Parts, Brass Hrc Fuse Parts, Brass Kitkat Fuse Parts are available. 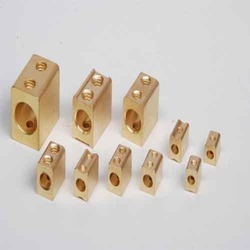 With an aim to establish ourselves among the leading organizations, we are engaged in manufacturing, exporting and supplying an optimum quality range of Brass HRC Fuse Parts. 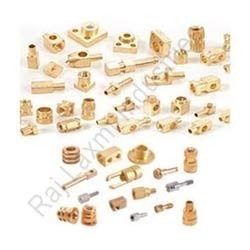 A wide array of Brass Fuse Parts is offered by us to our valuable patrons. The parts we deal in are manufactured using high quality brass material and latest technology. Available in number of specifications, shapes, sizes and colors, these products get in-tune with the specific demands of the clients. Clients use these products for protecting equipment any kind of short circuit or damage, which occurs due to device failure or power overload. Lengths and sizes of these parts are custom designed as per the specific needs of the customers. Begins from M2 or equivalent threads and up to any size as per custom design or requirement. Leveraging on the support of adept team members, we are actively engaged in manufacturing a broad assortment of Brass HRC Fuse Links. Each link that we offer is engineered as per the international industry norms and guidelines, suiting specific needs of the patrons. Furthermore, our range is precisely checked on set quality grounds so as to ensure their complete flawlessness.